This is a jQuery plugin that can make table rows and columns not scroll. 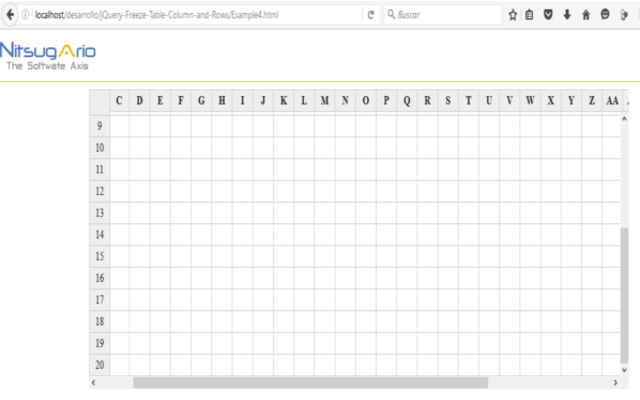 It can take a given HTML table object and set it so it can freeze a given number of columns or rows or both, so the fixed columns or rows do not scroll. The rows to be frozen should be placed in the table head section. 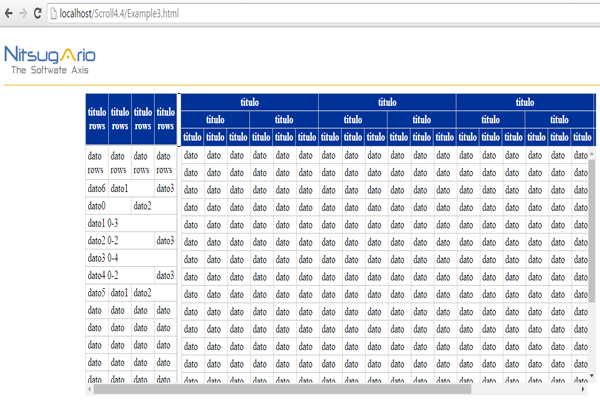 It can also freeze rows and columns combined with using colspan or rowspan attributes. Prize: One ebook of choice by Packt Most spreadsheet programs allow the users to make certain rows or columns fixed, so it becomes easier to see which sheet headers relate to each cells. This jQuery plugin can implement similar behavior with tables on HTML pages. It can make certain rows or columns fixed, so the rest of the table can scroll while the fixed rows and columns remain steady.